This Viligno floor combines the looks of weathered, recycled floorboards with the advantages of new and durable flooring. ‘Reclaimed grey oak’ looks as if it were plucked from an old store room or an abandoned ware house. The floor works best in spacious rooms with plenty of natural light. ‘Reclaimed grey oak’ is ideal for the interior of a loft, possibly with bare columns and supports. The floor also combines particularly well with an industrial look with old metal furniture, but also with a warmer country interior in a casual style. The Viligno board range consists of a series of natural-looking wood motifs with grain structure. Viligno vinyl plank flooring is extremely suitable for living rooms, bedrooms, offices and even for commercial projects. 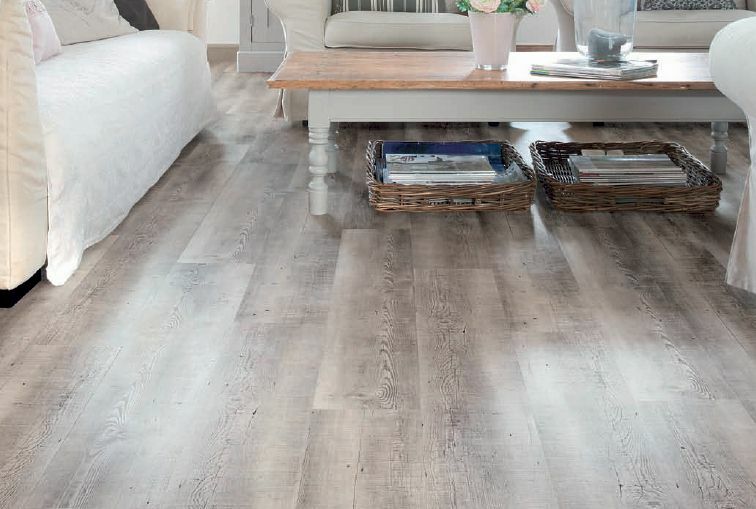 VL1RGO-1244 RECLAIMED GREY OAK This Viligno floor combines the looks of weathered, recycled floorboards with the advantages of new and durable flooring. Reclaimed grey oak looks as if it were plucked from an old store room or an abandoned ware house. The floor works best in spacious rooms with ..
SKIRTINGS For every Viligno floor a matching skirting is available in the same colour and design structure. This accomplishes not only a complete and perfect finishing, but also hides the required expansion gap between the floor and the wall. Viligno skirtings are easy to fit thanks to the conven..
Vilgno Skirting clips. Pack of 30 ..
POLYETHYLENE FOAM UNDERLAY To optimise the equal level of the existing subfloor we highly recommend using a Viligno underlay. Its resistance to pressure has a positive effect on the optimal conservation of the click joints and thus guarantees the longevity of your Viligno floor. Viligno underlays..